The room rate is from 18,000yen(per person/without tax). Differences are view and meal. This website is the best way to book a room. You will be able to stay at cultural property rooms. Priced in only ten‐thousand yen range. This plan is chosen by many people. Garden view from the room makes you feel comfortable. 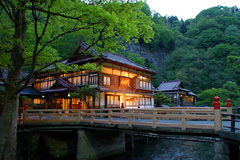 You will be able to enjoy atmosphere of Japan. This plan is garden view and larger room. So you will forget all about the time and be more relaxed. 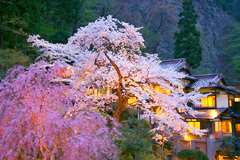 You will be able to enjoy atmosphere of Japan. 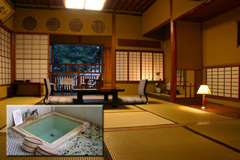 This plan’s room is with small Onsen (Only for you!). You can enjoy 100% pure hot spring anytime you want while you are staying. 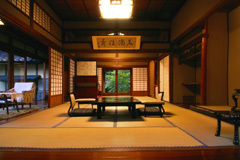 Hanare is very traditional room. Many famous people, such as the Imperial family, the Prime Minister and so on, stayed in this room in all ages. 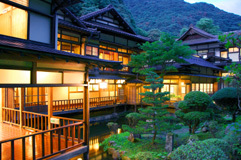 You feel luxury, prime, special Japanese atmosphere. Booking from Official Web Site is the most profitable way. We will be able to arrange your booking. We have only 24rooms. So, you would be better to book as soon as possible. If you have any question, please let us know about it.